Cutting the Cord: Is Streaming TV Cheaper Than Your Cable Bill? For many of us, cable TV is no longer a necessary expense with its own line in our budgets. With new streaming TV services and programs that allow you to watch your favorite show for peanuts, cutting the cord looks like an appealing way for many people to save money. This was the case for my husband Ryan and me. As we noticed we spent more time traveling than we did at home, we looked for ways to cut our personal expenses without sacrificing our quality of life. Cutting out cable TV made the most sense, since we’re away from home so much and would prefer to watch our favorite programs on the go, via our tablets and laptop. We went on a hunt to figure out if canceling our cable TV subscription was a smart choice. What hidden expenses should we consider? And if we did cut out cable TV, which streaming TV service would give us access to all the channels we want to watch? If you’re considering cutting the cable cord, here’s how to measure the potential savings. What shows do you consistently want to watch? What TV programs are your family’s absolute favorites? While we might all wish we could watch all of the entertaining options, we just don’t have the time. Be realistic and make a list of shows and channels you actually watch each week. 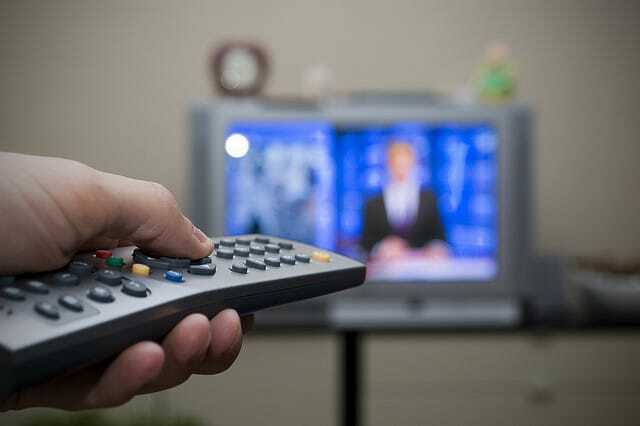 In addition to any prime time slots, don’t forget late-night shows, weekly sitcoms and sports channels, as well as shows that only air during certain seasons (like Big Brother, which airs every summer). Are there shows or channels that you kind of enjoy but don’t mind missing? For example, maybe you used to be obsessed with home-renovation reality shows, but have moved on. Put these options on the chopping block as “maybes” — you may not need to pay for HGTV anymore. Write down all of the shows you and your family watch over the next week, as well as your favorite channels. This will give you an accurate look at what you actually watch. Armed with the list of shows you actually watch, compare online streaming services to see which ones provide access to regular episodes of your favorite shows and movies. Netflix focuses on classic and recently released movies, as well as collections of older shows you can binge watch. Cost: $7.99 a month. Hulu Plus offers access to shows and episodes currently airing on network television, although you usually have to wait until the next day before viewing the latest episode. You can also watch movie trailers and daily news. Cost: $7.99 a month. An Amazon Prime membership gives you access to Instant Video, which offers unlimited streaming of more than 40,000 movies and TV shows. In addition, the membership gives you free two-day shipping on everything you buy, photo storage, streaming music and more. Cost: $99 a year. Finally, Dish Network recently announced Sling TV, a service that includes access to ESPN, Food Network, Disney Channel, HGTV and more. Cost: $20 a month. You can also upgrade to the Sports Extra, Kids Extra or News Extra packages for an additional $5 a month each. Compare the options to see which services will be the best fit for your budget and interests. Check your list of TV shows and movies to verify that the service you choose allows you to watch everything your family enjoys. Before making a hasty decision to cut your cable, you need to look at any additional costs. While on the surface paying $7.99 for Netflix seems so much cheaper than your $90 monthly cable bill, consider all the factors that affect your bottom line. For example, you may need to buy a separate device to watch TV shows and movies using your chosen streaming service. The most popular options are the Amazon FireTV, the Roku, Apple TV and Google Chromecast. Prices vary, but this is a one-time purchase with no recurring fee. Next, consider whether your Internet connection can handle the extra load of streaming. If you’re still working with dial-up or you have a low usage limit (bit cap), you likely won’t be able to properly stream all the movies and TV shows you’d like to watch. Finally, check whether your cable bill is part of a bundle package with other services like Internet or a landline. If you cancel your cable, will you lose the savings that come with buying the package? Verify what kind of streaming device you’ll need for your chosen streaming service. Can you use a more budget-friendly Google Chromecast? Or do you prefer the heavier-duty Roku? Then check out your Internet service and your monthly bill to see whether your connection is up to par for streaming, and whether you pay for a package. By switching to online streaming services, people can save an average of $600 each year, according to this savings calculator from Slate. That’s a lot of money you could use toward other spending priorities! Based on this statistic, when my husband and I were looking into canceling our cable TV service, we thought we’d be saving quite a bit of money. However, I’m glad we used the calculator to figure out the true cost: Accessing all our favorite shows and upgrading our Internet service, it would cost us $159.60 more than our cable bill over the course of the year. Why? We would no longer be eligible for the bundle savings of combining our Internet and cable service, and we needed a higher usage limit to accommodate the streaming we planned to do. However, the extra costs made sense for us when we considered other factors. We were already paying for Amazon Prime for the convenience of online shopping and free shipping, and we were already pushing our Internet plan’s usage limits. Overall, we exchanged a bit of extra money for the convenience of streaming our shows on our mobile devices as well as our TV. Use the cable TV savings calculator to find the true costs of cutting the cord. Input your monthly cable payment, and then check off each streaming service you plan on subscribing to. Don’t forget to add the cost of the streaming device you need to buy, too. Your Turn: Were you surprised at the costs or savings you could find by cutting the cord? Do you plan to cancel your cable service? Carrie Smith (@carefulcents) is a financial artist and founder of the blog Careful Cents. She’s on a mission to help other creatives design a business that fits into their better-than-average lifestyle. 23 Minutes Ago Dear Penny: I Can Only Afford Interest on My Student Loans. What Can I Do?